The Florida Gators walk into the stadium for the 2014 Orange and Blue Debut during the Gator Walk. The Florida Gators walk into the stadium during the Gator Walk for the 2014 Orange and Blue Debut. 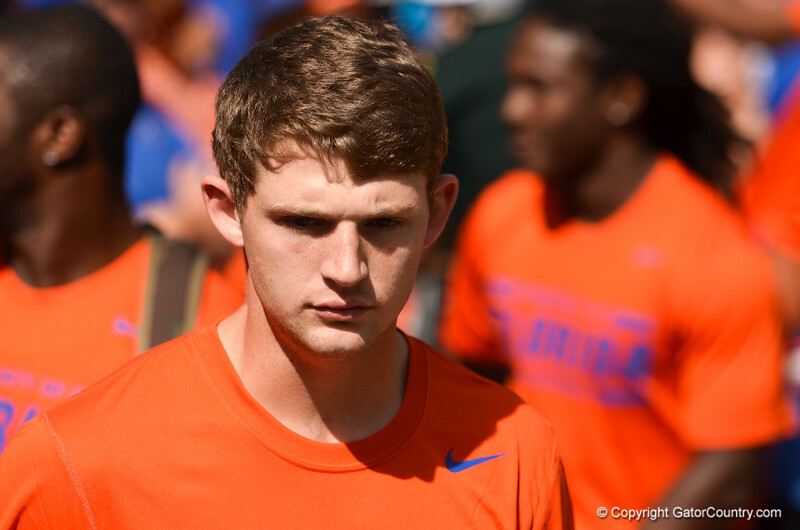 Florida QB Jeff Driskel walks into the stadium during the Gator Walk. 2014 Orange and Blue Debut. April 12th, 2014. Gator Country photo by David Bowie.